Bouncy Mouse is a very bright, colourful, great looking game that’s simple and fun to play. Your mouse has to collect cheese and kick the cat in the face at the end (or something). To collect cheese, you have to swing in between points by pulling the mouse back like it’s on a sling shot and aiming for the next point. You have to avoid falling off into ditches or water or touching enemies (Except the cat oddly enough). If you fall on the floor you can just try and get back on. It does resume to the position you were in last just with a brief ‘loading’ screen. Music is nice and fitting to the game, overall very well polished. All was good on Mouse Island until the thieving Captain Cat stole the Big Cheese! Help Bouncy Mouse get the Big Cheese back and restore peace to the world. It’s a big task for a little mouse! Use his elastic tail to shoot, sling, and fly Bouncy Mouse through 30 beautiful levels in three exciting worlds. Avoid Spiky Bees, grab on to magic pegs, bounce off of Bumper Birds, and eat as much cheese as you can. It’s an epic adventure for all Mouse-kind! * Punch the lights out of Captain Cat when you win! * Unlock secrets by collecting 100% cheese in each level: customize your mouse! * Can you get through each level without losing a heart? * Delightful music in each world! * The adventure’s not over… more worlds coming in Fall 2011! A brand new game like none you’ve seen before. So much cheese, so little time! By Eric Karl in San Francisco, CA. 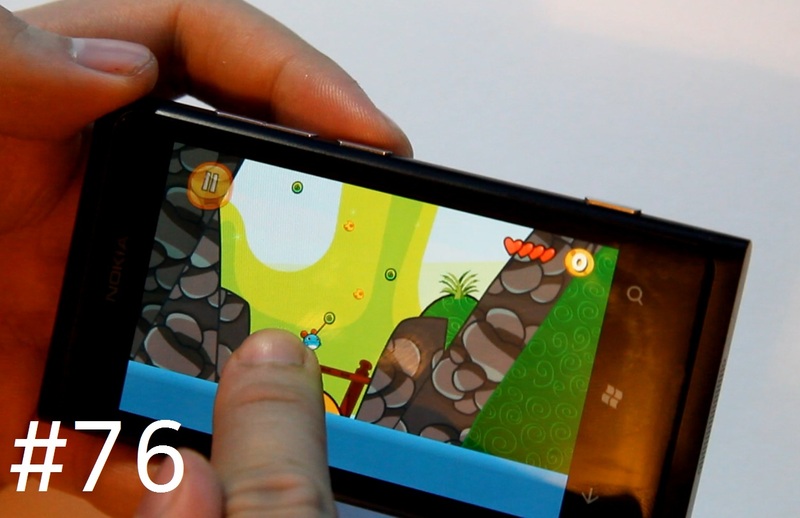 « WP7 apps compatible with WP8 says Brandon Watson.